It's the small touches that make memories special. The Skyline S9 is the first in its series to include embroidery functions that add personalized details to your wardrobe, home and surroundings. 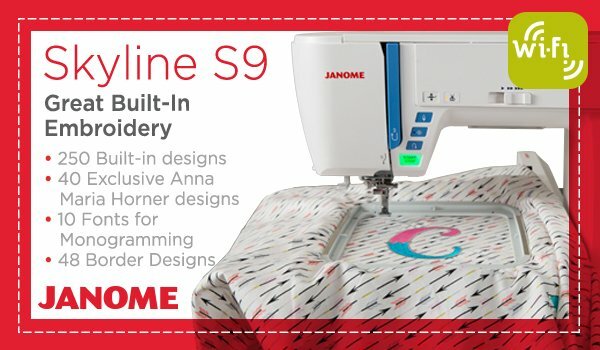 The Skyline S9’s built-in Wi-Fi capabilities make it easy to transfer designs, fine tune embroidery placement and monitor your stitching! 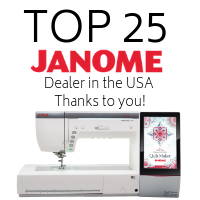 With Janome's collection of Apps you can edit and monitor your embroidery from anywhere. 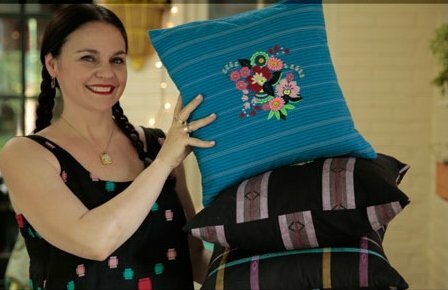 AcuDesign is the embroidery app that gives you the ability to import stitch designs from various sources and modify them anywhere, anytime—even when you’re not connected to the Internet. AcuDesign is $ 49.99 in the App Store. 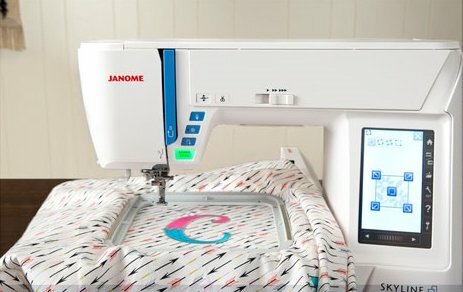 AcuMonitor is a monitoring App to check embroidery progress on the Janome Memory Craft 15000. You can check embroidery progress even if you are away from the machine. With AcuMonitor, you don't need to sit by the machine anymore. While the machine is embroidering, you can go and do other things. 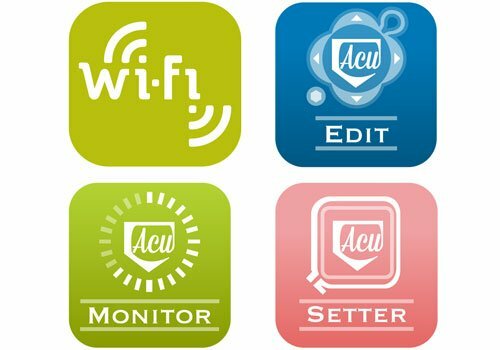 Acu Monitor is Free in the App Store. 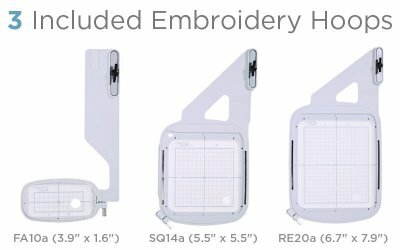 AcuSetter makes it possible to arrange the position of designs using an iPad before embroidering on the Janome Memory Craft 15000. Even if the fabric shifts a little when it is inserted in the hoop, reinserting it isn't necessary. By taking a photo of the embroidery hoop with the fabric inserted in it, the design can be easily arranged while checking various fabric conditions (shifting of the fabric's position, fabric patterns, embroidery already sewn, cross lines etc.). AcuSetter is Free in the App Store. 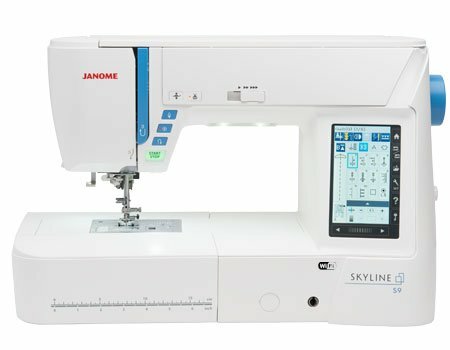 The Skyline S9 has 250 built-in embroidery designs that give you a wide range of styles and motifs for all types of projects. Included are 40 exclusive designs from Anna Maria Horner; 10 fonts for monogramming and 48 border designs. The most important functions are perfectly placed for effortless access. 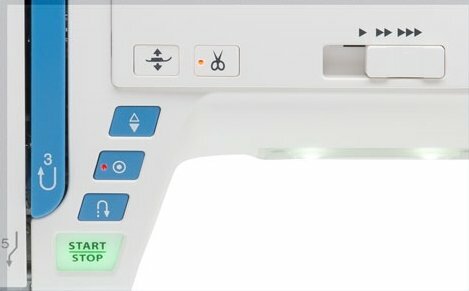 The Skyline S9 includes a start/stop button, reverse function, locking stitch, needle up/down, thread cutter and most importantly: an automatic presser foot lift. 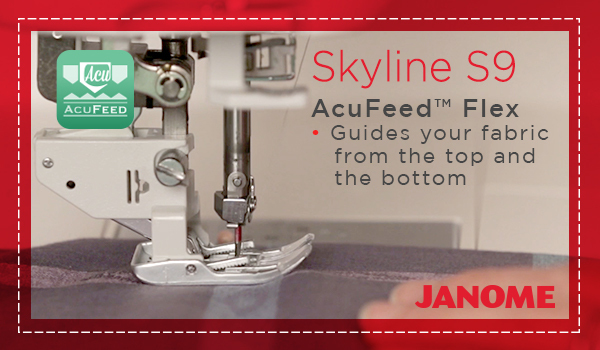 Easily guide seams under the needle with the AcuGuide Cloth Guide. The guide clips right into the embroidery arm to guide your sewing for perfectly straight seams from -1/2" - 5.5". The Skyline S9 includes 40 of Anna Maria Horner's exclusive and unique designs made specifically for it. These elegant border elements, cross stitch classics and bright, vibrant focal designs will complement every project and taste. Choose from 250 different stitches and 11 buttonholes. 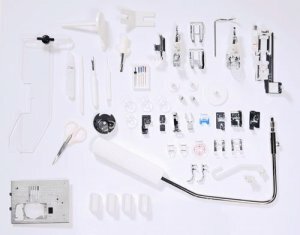 There is also an amazing array of 22 standard feet and accessories. This machine may only be purchased in our retail store. Please call 207-474-9628 for more information.